Ever since I was a kid, Italian food has always been my favorite. The pasta, pizza, bruschetta…Everything is so tasty. Before going Vegan, I was a ricotta obsessed. I loved it on almost everything and always had it in the house. After going Vegan I realized that Tofu makes an amazing Ricotta replacement! When crumbled like you would when scrambling Tofu, it makes such an amazing consistency. Paired with the right seasonings & other items, you wouldn’t know the difference. So I decided to recreate one of my favorite Italian recipes: Stuffed Shells. After trying this for the first time, and my parents saying they couldn’t tell the difference, I knew it was an immediate recipe I needed to share with you guys. Its creamy, flavorful, and just straight up delicious I hope you enjoy this recipe as much as I had fun creating it for you guys. Bring a large pot of water to a boil & add shells. I like to add 21 shells to have 1 to taste test. Meanwhile, pre-heat oven to 400 degrees Fahrenheit. In a bowl crumble tofu into small pieces and add vegan cream cheese, nutritional yeast, garlic powder, onion powder, Italian seasoning, salt, pepper & mix to combine. Finely chop spinach & basil and fold into ricotta to combine. Once shells are done, drain and run cold water over to stop cooking & to make it easier to use with hands. Using an oven save dish, add 1 cup of tomato sauce to bottom and spread evenly. 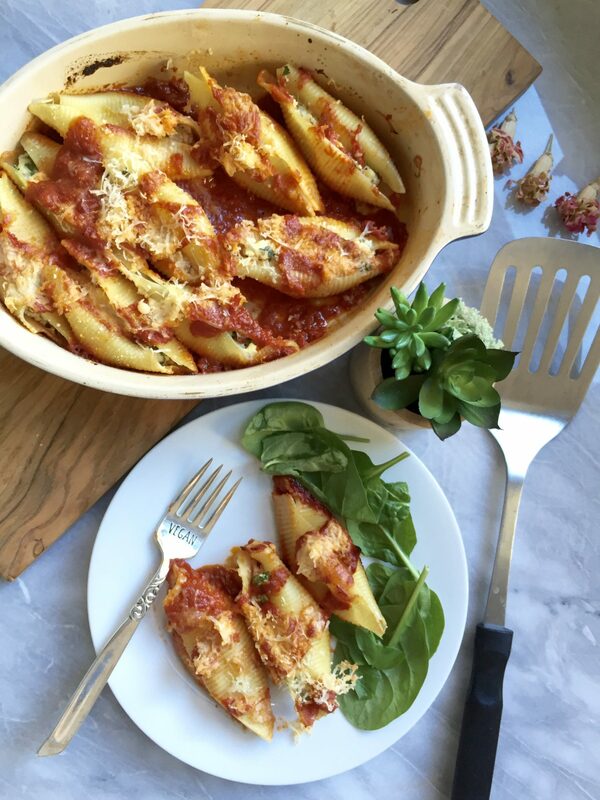 Take your shells and add about 1 tablespoon to each shell and lay on top of tomato sauce. 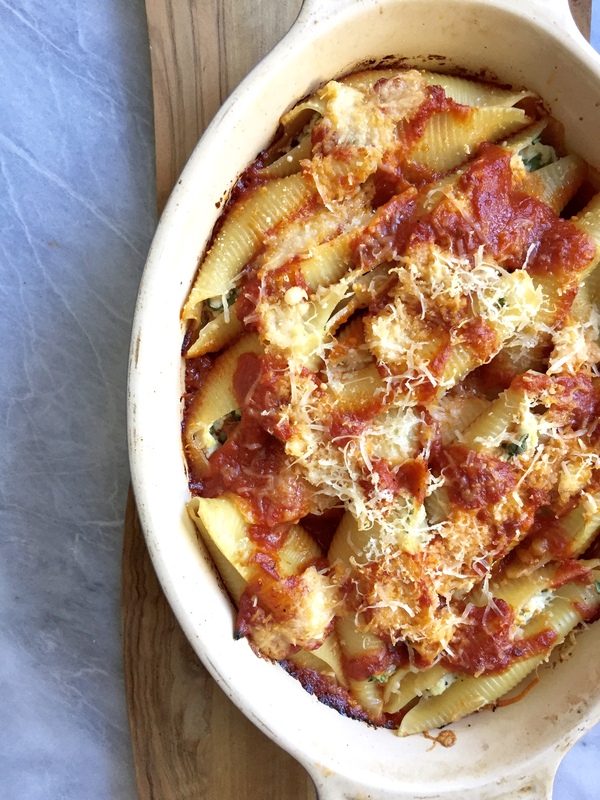 Add an additional 1/2 cup of tomato sauce on top of shells as well as your Vegan cheese.